Prior to entering into full-time ministry, Joel had spent the last fourteen years working for the Microsoft Corporation. Most recently, Joel was a Senior Director responsible for the IT department supporting Finance at Microsoft. Working among the people of Bellevue, God burdened his heart that someone was needed to reach them. Although it meant leaving a successful career at Microsoft, a wonderful church home, and a comfortable lifestyle, Joel could not deny God’s call to go to this needy area. With the support of his family, Joel has surrendered to take the gospel to the lost souls of Bellevue. Joel and Christelle Creekmore were married in September of 1997 and have six children. Their children are Yulia, Sasha, Yernar, Wade, Anna, and Abigail. They are blessed with the fact that all of their children have a testimony of salvation and serve the Lord with their parents. Joel received Jesus Christ as his personal savior in November of 2006 at the age of 31 while attending a Karate ministry out of Bible Baptist Church in Puyallup Washington. Shortly after his salvation, Christelle was saved through the same ministry. After they were baptized, they joined Woodin Valley Baptist Church, which was closer to their home in Duvall, Washington. It was there that they established the fundamentals for their faith and service. At the same time Woodin Valley was planting Foundation Baptist Church with Pastor Matt Farinella. The Creekmores were led of God to help the church plant and eventually moved their membership in order to continue to be a part of what God was doing there. 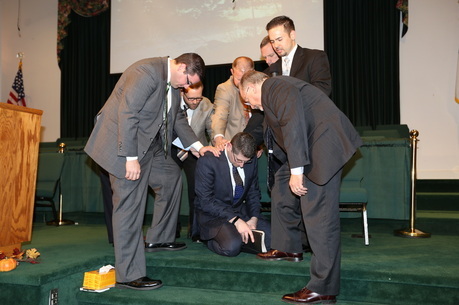 During the 2011 Spiritual Leadership Conference, the Creekmores surrendered to God’s call to full-time ministry. Since that time, Joel has completed classes in Heartland Baptist Bible College’s extension studies and online Masters program. Extension studies allowed Joel the opportunity to stay serving within the church plant and develop his ministry skills there under the guidance of his pastor. In early 2014, the Lord began working in Joel’s heart highlighting the drastic need for local churches in the Bellevue and greater eastside area. 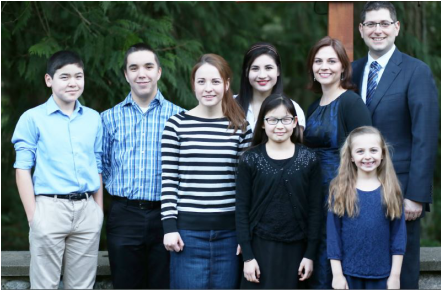 By late 2014 it was clear that the Lord was directing the Creekmores to start a church in the city of Bellevue. To that end, Joel was ordained to the gospel ministry by Foundation Baptist Church in November of 2014. The Creekmores are in awe of God’s grace and the opportunity to be used by Him.